This Friday (i.e., tomorrow) marks the end of this session’s “second funnel” – which means that (with quite a few exceptions) the only bills that remain viable are those bills that have passed out of either the House or the Senate AND ALSO out of a committee in the other chamber. The fact that a bill has survived the second funnel doesn’t guarantee that it’s going to become law, but … at least it still has a fighting chance. 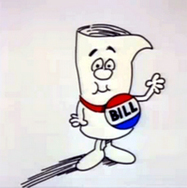 And I’m so very happy to report that a bill addressing an issue that is near and dear to my heart is still alive and kicking. Wednesday evening Senate File 385 (in a slightly amended form) passed unanimously out of the House Judiciary Committee. This bill allows a person to petition the court for an order expunging the court records of his/her criminal case in all cases in which either (1) all of the counts were dismissed or (2) the defendant was found not guilty on all counts – so long as at least 180 days have passed, all court costs/fees have been paid, and the case wasn’t dismissed due to a finding of insanity or incompetency. The effective date will probably be January 1, 2016, but cases dismissed prior to that date would be eligible for expungement (i.e., the bill is retroactive). This bill is necessary because sadly – despite the fact that “innocent until proven guilty” is one of the cornerstones of our criminal justice system – the general public (including me, occasionally) often assumes that if a person is charged with a crime, he or she must be guilty of the crime, or at least guilty of something criminal…right? Back when the only way to find out about someone’s criminal record was to pay for a criminal background check, this wasn’t such a big deal; however, Iowa Courts Online (the Iowa Judicial System’s online public docketing site) now allows anyone to conduct what is basically a free criminal background check (at least as far as Iowa cases are concerned) just by typing a name into a search engine – and under current law, information on criminal cases that have been dismissed or in which not guilty verdicts have been entered remains accessible on Iowa Courts Online forever. Over the past ten years or so, I’ve been contacted by dozens (maybe hundreds) of Iowans who have been and continue to be negatively impacted by dismissed criminal charges every single day, and I’ve heard the same thing from many other attorneys. Often the prosecutors and judges involved with these cases are more than willing to assist in somehow removing the information from the public record, but … under current law that’s just not possible. So an innocent person charged with a crime that is later dismissed, or a person who has gone to trial and been found not guilty of a crime, is nonetheless often presumed guilty (forever!) of the charged offense by potential employers/landlords/the general public. This is unfair, unIowan, and unAmerican, and thus I am so glad this bill made it out of funnel, and I’m very hopeful that the House majority leadership will allow a vote on Senate File 385 within the next few weeks. And you can help make that happen! If you or someone you care about has been negatively impacted by a criminal charge that was dismissed, or in which a not guilty verdict was entered, I’d appreciate hearing about – please email me at Mary.Wolfe@legis.iowa.gov. And please also reach out to your own elected representative in the Iowa House and ask him or her to support Senate File 385 when it comes up for a vote … your input really and truly matters with this type of bill!